Make rooms appear larger with strategically placed mirrors. 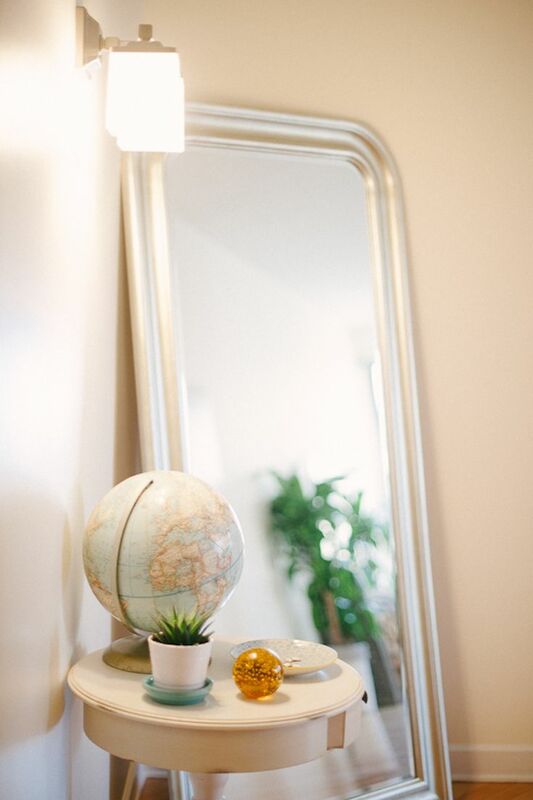 A leaning or wall-mounted mirror can brighten your space, and make a narrow room look wider. Choose a frame with a matte or shiny finish in gold or white for a modern look. Add a pop of color to your room. 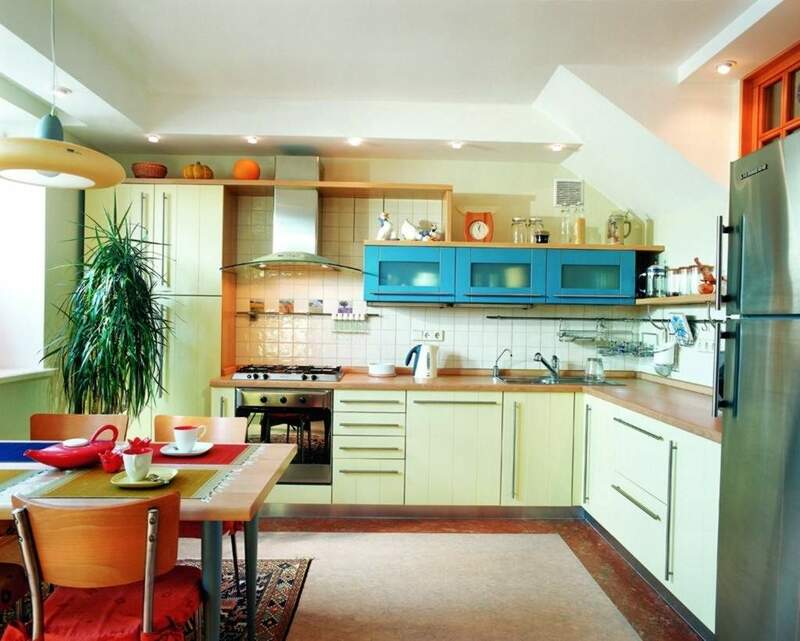 Painted cupboards give this kitchen a big boost. Other inexpensive ways to add colorful accents to your home include bold throw pillows on a neutral couch, a vibrant bedspread in a black-and-white bedroom, and bright wall art on a pale-colored wall. Get creative with storage. The look is modern, clean, and you’ll create conversation pieces throughout your home. 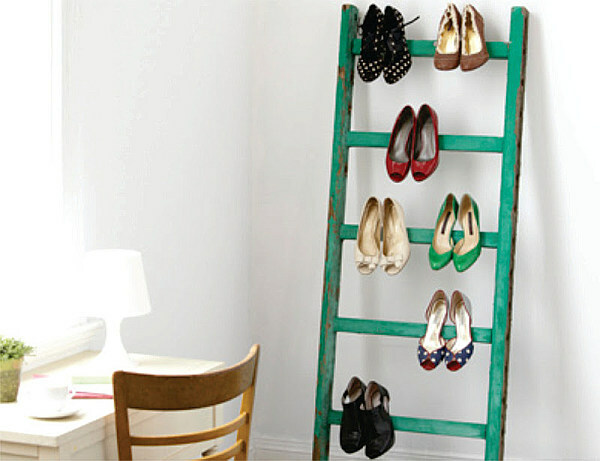 Here, a rustic ladder touched up with a bright coat of paint is the perfect way to organize a beautiful shoe collection. Make a gallery wall. 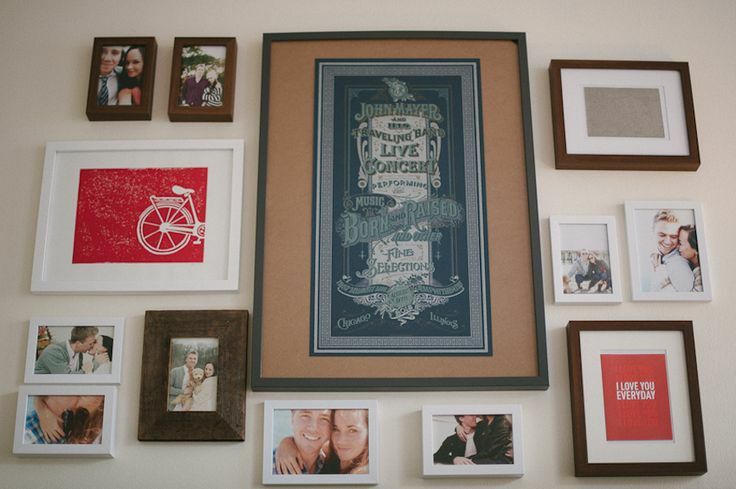 Dedicate some wall space to special people, favorite quotes, and mementos from your travels. 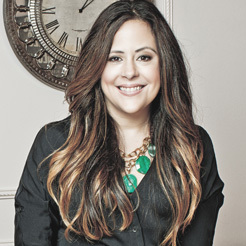 Create a unified look by choosing frames in the same color or neutral frames in similar colors. Personalize your decorative items. 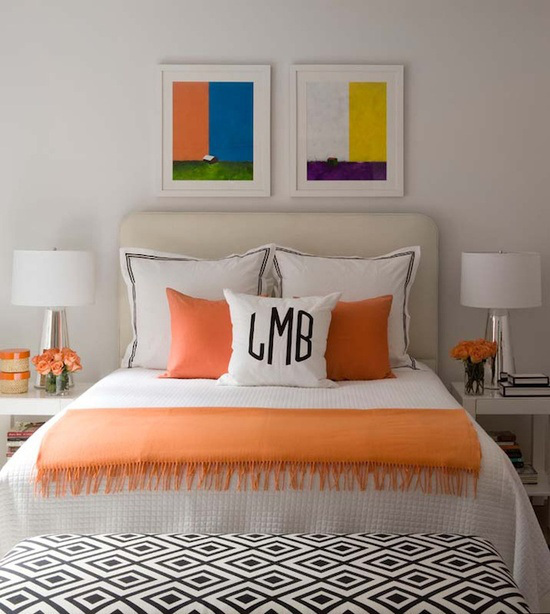 Monogrammed throw pillows add a traditional touch to this contemporary bedroom.